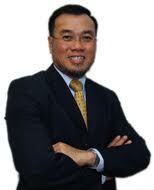 Beliau adalah Pendiri dan Master Trainer dari Ernesco group of Companies, Smart-Kids dan Super-Teen Holiday Camps. Banyak dari Lulusan Super-Teen telah kuliah di Universitas-universitas terkemuka di dunia seperti Cambridge, Oxford, Princeton, NUS, dan NTU. Untuk dedikasi dan kontribusi terhadap kesempurnaan dalam pendidikan, Dr. Ernest diberikan penghargaan Golden Apple Award dari 'Foundation of Self-Esteem' di California, USA. + Academic : Super Memory, Creative Note-Taking, Examination Strategies, Excellerated Reading, Learning Strategies, Peak Studying Performance, Super-Teen Holistic Study Method, Secret of Writing. + Personal : Time Management, Self-Confidence, Postive Inner Motivation, Problem Solving & Decision Making Skills, Self-Image, Stress Control, Goal-Setting, Self-Esteem. + Challenge of Excellence : Mind/Body Coneections, Low Element Adventure, Group Pattern, Rope Course. + Social : Communication Skills, Leadership Strategies, Team Support, Family Relationship, Winning Friends.